Welcome back to another IllusiOm adventure! invite all your best friends for this marvelous adventure!!! 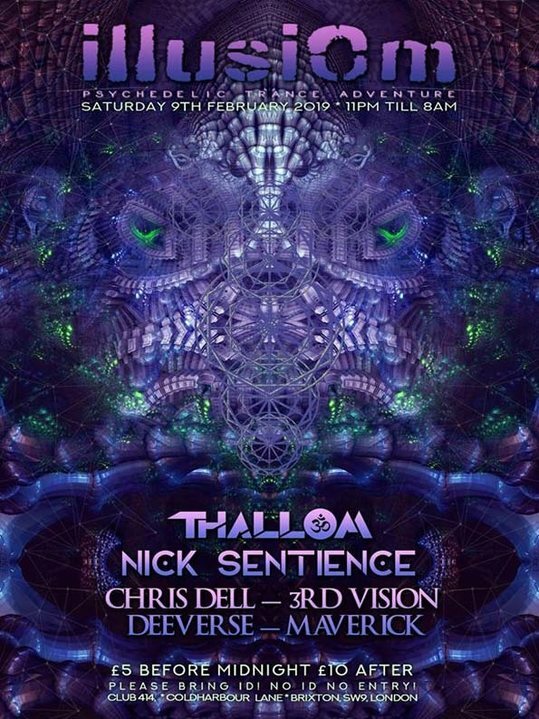 London's No.1 Psy Trance Clubbing Night Out! * Please invite only good vibe's. * Select your best friend's for best time. in 0.051 seconds server time.